The kit includes 32 count silk gauze, colour block chart and detailed instructions, Anchor stranded cotton, a suitable needle and a card template and wadding. 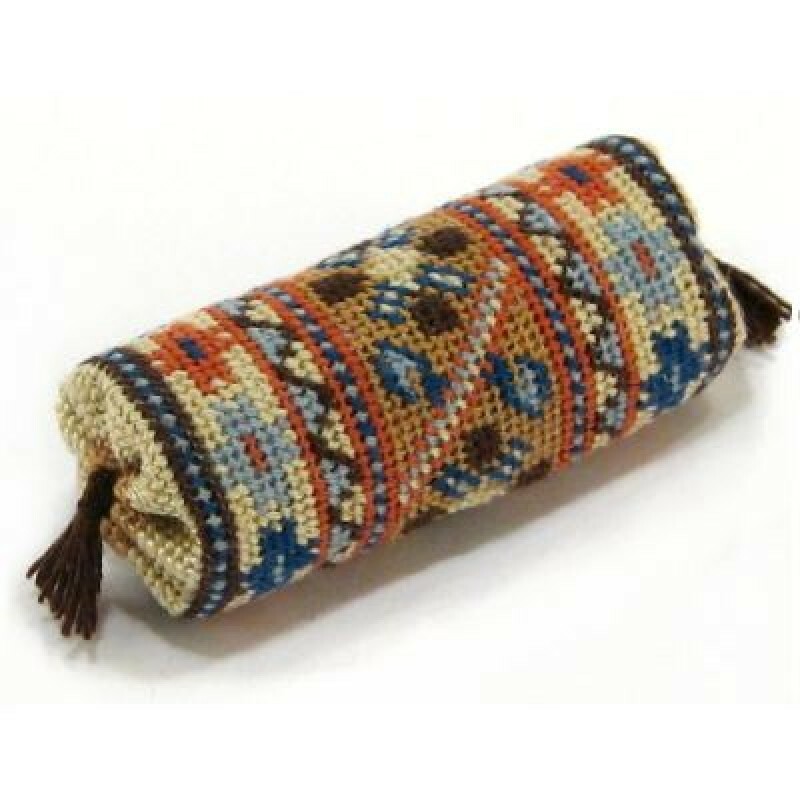 When completed, the bolster measures 1½ inches long x 5/8 inch diameter. Middle Eastern carpets gave the inspiration for this bolster design, in the traditional colour scheme of orangey red/blue/brown.